Painter, especially of landscapes, draughtsman, teacher and writer, and brother of the painter Stanley Spencer. Born at Cookham, Berkshire. Spencer studied at Camberwell School of Arts and Crafts, woodcarving at the Royal College of Art, 1911-12, then with Fred Brown and Henry Tonks at the Slade School of Fine Art, 1913-20. Between 1915 and 1919 he served in the army. 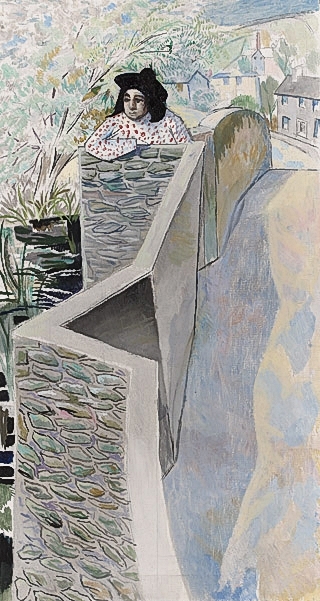 Spencer had his first one-man show at the Goupil Gallery in 1923; he also exhibited at the RA (he was elected RA in 1960), NEAC, (of which he was a member), Leicester Galleries, RSA, Redfern Gallery and many other venues. Although he produced notable wall paintings for Holywell Manor, Oxford, 1934-6, Spencer made his name as a landscape artist working mainly in the English southern counties. At various times he taught at the Royal College of Art, Glasgow School of Art and Camberwell, serving meanwhile as an Official War Artist, 1940-3. His book Stanley Spencer appeared in 1961 and his autobiography, Memoirs of a Painter, in 1974. A retrospective exhibition was held at Reading in 1964. The Tate and many other public collections hold his work. He sometimes just signed his work GS. He lived in Hampstead and towards the end of his life near Reading, Berkshire.